Quartz is one of the most popular options for kitchen surfaces, and in other areas where worktops are much needed. Just like any other solid surface, they too are not completely indestructible but they’re still sturdy, long-lasting, and can hold up the wear and tear of everyday use. In fact, they are remarkably hard-wearing that most manufacturers offer top quality warranties that you don’t normally get with other stone surfaces. They are even tougher than quality granite worktops! In the past, the biggest factor that made homeowners doubtful of Quartz worktops was that it lacked the wide variations of colours and patterns that you ordinarily get with natural stones. Nowadays, almost all manufacturers offer multicoloured slabs with stunning swirls, flecks, and sleek patterns which makes them almost identical with the real thing. 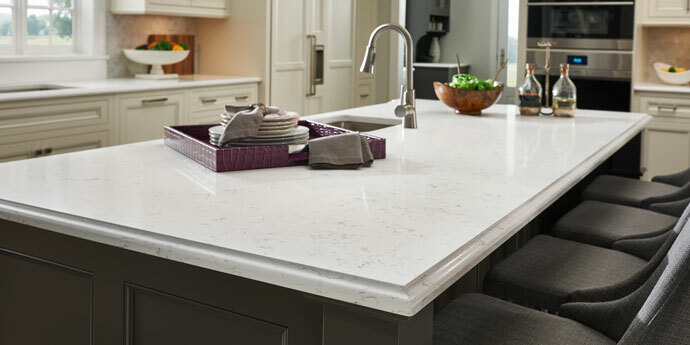 One of the main advantages when utilizing Quartz worktops on your home is that they do not need to be sealed at all, which is a really practical factor to homeowners who want to obtain a hassle-free worktop material. The durability of this material also means that it resists staining and corrosion from most household cooking oils and liquids such as coffee, wine, lemon juice, as well as other acidic household ingredients. Unlike some other kitchen surfaces, Quartz is non-porous, which means this worktop is much more hygienic for they can be kept 99.9% germ-free when maintained well and cleaned regularly. Cleaning your Quartz worktops don’t need to take a lot of time and effort. Simply wipe your worktop with a warm and soft soapy cloth or perhaps, a sponge. You can even utilize a similar material that you would normally wash your dishes with. If you still need something a little tougher than the usual mixture of soap and warm water, you can also make your own worktop cleaner by simply mixing dish detergent and some rubbing alcohol. Mix one part rubbing alcohol with three parts of dish detergent, mix carefully in warm water, and you got yourself an instant worktop cleaner! Pretty practical, right? These worktops were once available only with a polished finish, but now, you can get one with a sandblasted, honed, or even with an embossed look! 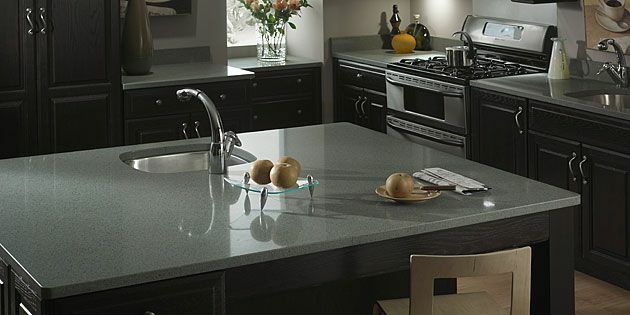 If it’s the look of a textured slate, matte limestone, or glossy granite that you want to achieve, there’s a perfect Quartz worktop waiting for you. Also, the available colours for Quartz surfaces are almost endless since they come in a wide assortment of rich colours, sleek textures, and other combinations. Because it is man-made, you now have the option to make a bespoke quartz worktop so it would completely fit the design that you want. 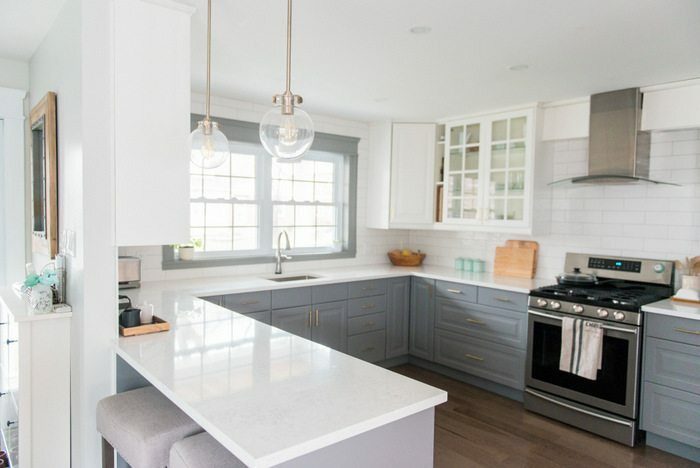 Not only that, homeowners won’t have to break the bank upon purchasing this surface material for it is available at a much affordable price— making it a budget-friendly, high-quality worktop. To know more information on how to properly manage Quartz worktops and some other surface materials, do not hesitate to visit our page.